Sure thing everyone wants to know how to work off Thanksgiving dinner. Maybe cancel your plans to watch movie night or watch football after dinner or maybe why not cancel your plans on going shopping on Friday because more probably it will take over a weekend to work it off. Simple’s good. And in experiments, posting sweat equals forcefully steered consumers toward water over sugar-sweetened soda, pretzels over chips, salads over cheeseburgers. CoachUp, a service that connects athletes intent on stepping up their game with private coaches, brings you the “sweat equivalents” of a typical American Thanksgiving. 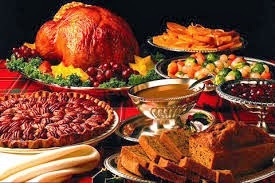 The average American takes in 4,500 calories on Thanksgiving which means that is a lot of turkey, stuffing, gravy, cranberry sauce, creamed onions, candied yams and pumpkin pie — actually, about seven Big Macs’ worth of calories. You may be anticipating forward to spending hours on the elliptical machine this weekend, or have plans anyway to run a marathon or marathons. However you might try to alter what scientists call the “energy balance equation” (calories taken in versus calories expended in activity) a little on both sides if you want to limit Thanksgiving’s damage: Don’t go back for thirds on Thanksgiving Day and plan a long hike or an epic game of flag football after the meal, and run the next day.